We are excited to announce that Elliotts have officially partnered with GingerCloud Foundation. A charity very close to the Elliotts family, GingerCloud Foundation was founded by Anthony and his wife Megan to help empower, engage and equip parents whose children learn and perceive differently. Anthony and his family founded the GingerCloud Foundation after their young son Max was diagnosed with Pervasive Developmental Delay Not Otherwise Specified (PDD-NOS). Max’s language stopped developing and he became hyper sensitive to many things around him, causing episodes of extreme behaviour. Unable to enjoy normal family activities like playdates, birthday parties, shopping trips, and team sports, they realized that they needed special support for not only Max, but for their entire family. The Foundation helps similar families build their own roadmap to enable their children to grow, access opportunities and become everything they can be. 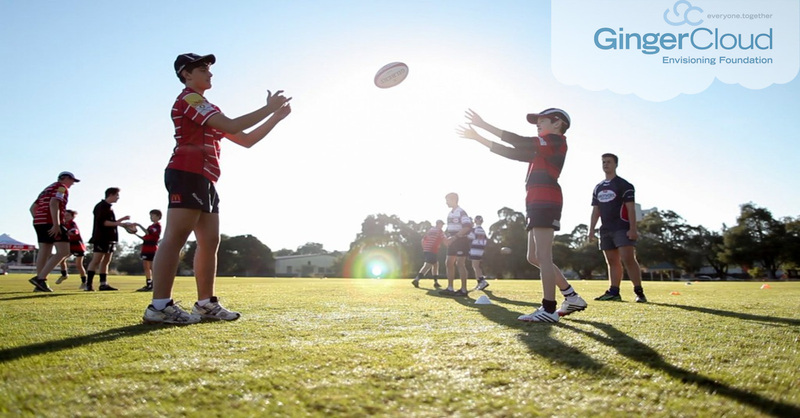 GingerCloud Foundation has worked with the Queensland Rugby Union, and Brothers Junior Rugby Club to develop a Modified Rugby Program (MRP) which has seen great success and has now been introduced across more than 4 Junior Rugby Clubs across Brisbane. The MRP gives children who learn and perceive differently the opportunity to play a team sport – an opportunity they would otherwise never have. Elliotts is excited to join the GingerCloud Foundation as they continue to support families within the community, and create their own community in which our children who learn and perceive differently and their families can continue to grow and thrive.